The Canyon of Dreams, an area that is considered by some to be one of Utah's Hotspots, but this place isn't on any map. This unknown, remote area has been kept a secret because of the unusual amount of activity and the extreme level of importance given to this area. Alien Dave say's " This area is of great importance, not only to the one's that know of it , but to the one's that control and use it, this is one of many places on Earth that is some kind of a Natural Doorway or Portal, for THEM, and is a place that is reserved for the Prepared, the Awake, and the called upon." In any case, it is a great photo. and even if the area is "Unknown" or "Marked" it says that the UFO's are here in Utah. 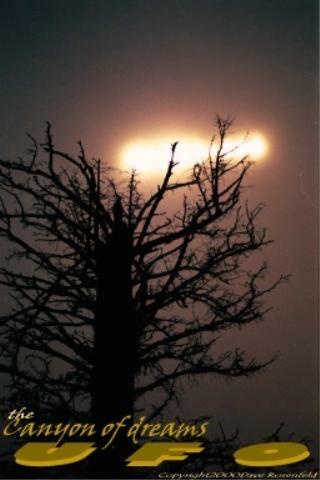 This Luminous Cigar/Cylindrical UFO is one of many of its kind seen in Utah, and by the Utah UFO Hunters. Available at the UUFOH STORE!